You will fall in love with this Tennis Village home! Beautifully upgraded & decorated! You can move right in! Formal living room w/vaulted ceilings, formal dining, bright kitchen w/ breakfast nook. Family room w/ cozy fireplace & view of the backyard oasis. Built in swimming pool, gazebo area & large lot with a huge side yard for possible RV parking. 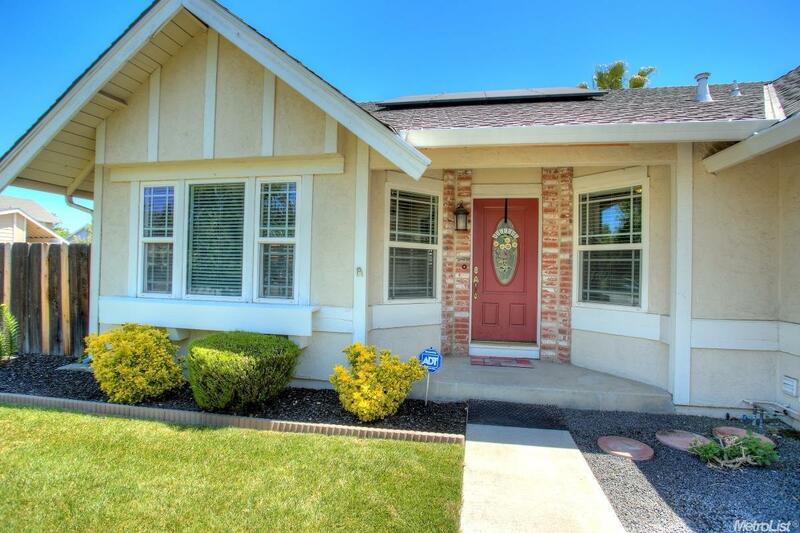 Walk to shopping, schools, parks & Tracy's largest health club. No Mello Roos & assumable solar to keep your costs down and comfort high!